The following is a PBT post from 2017 in which I featured 1 of 3 books in a series originally published in French. In my next 2 posts, I'll show you the other books, one about The Psalms and one about animals of The Bible. All three books are structured similarly and offer an abundance of examples with short descriptions and beautiful illustrations. Summary: This book offers a collection of images of God that are found in the Old and New Testaments. 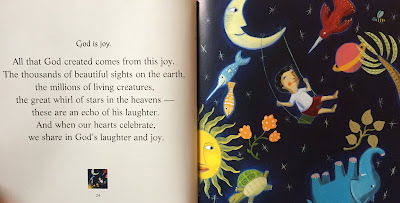 The introductory page says that these images are ways to "discover God in our world." Aspects of God are explained in terms children will understand through visual, concrete images as well as abstract analogies. You'll find God described as a promise, a fortress, mercy, a king, a healer, peace, etc. Included are some intriguing questions to consider such as: “Why do some people fight in the name of God?” Simple explanations are offered that you may want to expand on. Hanna’s Comments: Unlike most picture books, this book should not be completed in one sitting. Each entry should be savored. The 40 themes are so rich you could create a whole series of conversations or even lessons based on the variety of images for God given here. Non-Christians could leave out the two entries referencing Jesus. Delval wrote 2 other books in this series. 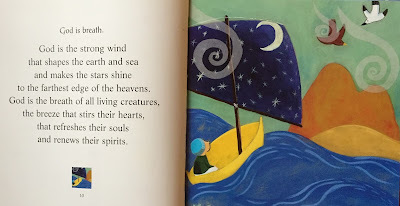 Psalms for Children is comprised of paraphrases of some of The Psalms. Because they emphasize a range of human feelings, it would be a valuable book to read to children. Children will especially enjoy Animals of the Bible. It tells the stories surrounding some particular animals mentioned in The Bible such as the snake in Genesis, the lions in Daniel, and the lost sheep in Jesus' parable. 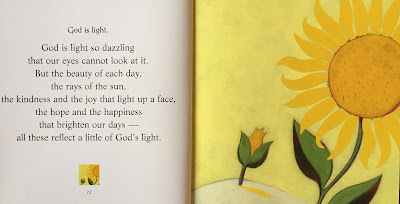 Scripture Connections: This book connects with numerous scriptures depending on the image. 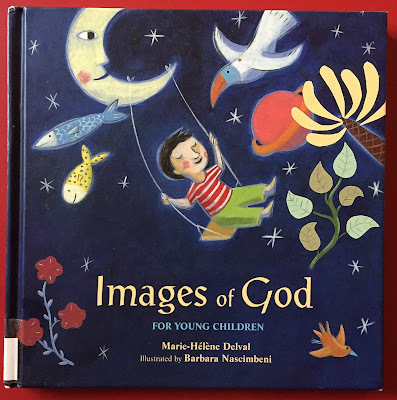 Idea(s) for Application: Read small portions of this book to a child or group of children and engage them in conversation about particular images of God as found in the Bible.